Another "Shot Heard Round the World"
Just as April 19, 1775, was not to be the only famous April 19 in American history, the Shot Heard Round the World from that morning was not to be the only famous shot. 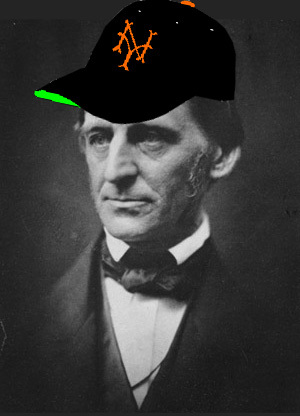 I bet you never knew Emerson was a Giants fan, did you? Why else would he describe Bobby Thomson's 1951 pennant-winning home run as "The Shot Heard Round the World"? Don't believe it? Well, neither did Russ Hodges. "The game of ball is glorious." Oh, wait, that was Whitman.